LONDON: Saudi Arabian racing driver Reema Juffali is set to make her Formula 4 British Championship debut at Brands Hatch at the weekend. Juffali, 27, will be racing for defending champions Double R Racing with her teammates Louis Foster and Sebastian Alvarez. 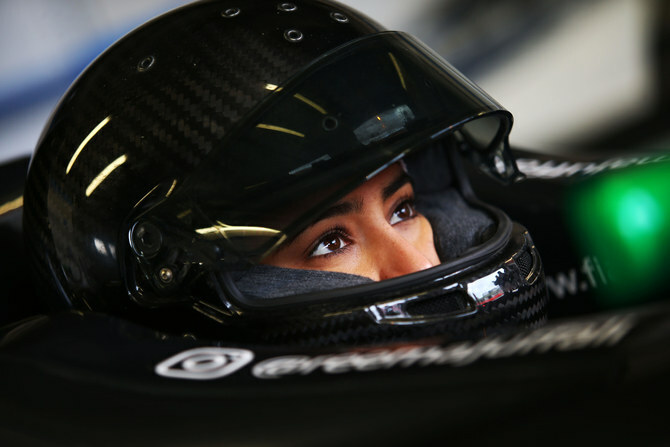 Having made her debut in racing in October 2018, a few months after the Kingdom lifted the ban on women driving and started issuing licences in June of the same year, Jeddah-born Juffali said she was excited about the coming year ahead. “In terms of being from Saudi Arabia, it’s such a great thing for me to do and represent my country,” she said, highlighting her pride at representing Saudi Arabia. She also thanked her family, friends and fans for their support thus far. “It’s a great honor for me. It’s something I didn’t really think about until quite late in life, I want to say maybe about three or four years ago that I started thinking about the idea of racing. To be here today is quite unbelievable and to have done it in such a short space of time, I’m very grateful and happy about that,” she told the British F4 website.